Documenta 14 is about to close its doors on 17 September. 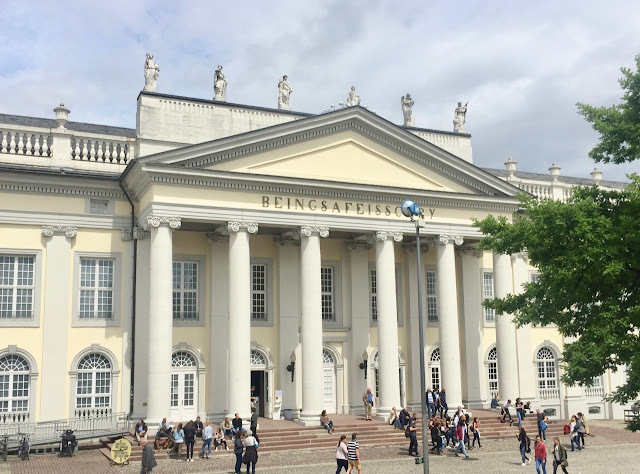 Titled Learning from Athens, this year's event has been presented as two 'chapters', the first kicking off in Athens and the second in Kassel. Director Adam Szymczyk's quinquennial mega exhibition stands in solidarity with debt-ridden Greece and endeavours to revive the memory of the great nation's historical and cultural grandeur. The Athenian overture nonetheless serves a point of departure and has opened up discussions on current socio-political issues such as failures in democracy and neoliberalism, the current rise of fascism, diaspora and dispossession, gender inequality and human rights, the preservation of indigenous culture and so on. As political art seems to dominate the entire event, the efficacy of art to offer solutions to a world in turmoil also comes into question. 10 aluminium letters borrowed from the Fridericianum and six letters cast in brass after the existing ones. documenta 14 - Kassel highlights from ArtworldNow on Vimeo.